NEKTAR Company has established a strong Cooperation and a Sole Distribution Agreement to represent PREMIER'S TEA LIMITED product range in Greece. PREMIER'S TEA LIMITED was founded in 1988, with the mission to introduce Quality Teas in non-traditional areas of the world, give tea lovers premium quality of tea. The company installed a State-of-the-art tea plant, completely imported from Japan, which was the first of its kind in entire South-east Asia, besides Japan. The new plant has a capacity of approx. 3,000 kilograms of tea per shift. 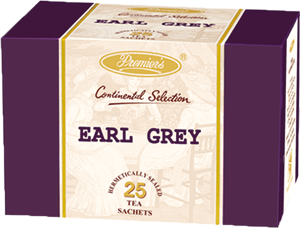 The result is that today Premier's Tea whether in bulk or packet, measures up to International Standards of acceptability, including standards of packaging for niche markets and mass markets. The company is certified against HACCP, Food Safety System Certification 22000:2010, ISO 22000:2005, and the manufacturing units also comply with organic tea standards related to India organic USDA, EU & JAS. 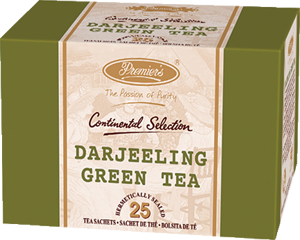 Premier's Tea has a license Agreement with Tea Board, India (under Ministry of Commerce, Government of India) to use their Darjeeling CTM, Assam and Nilgiri in all its consumer packs of teas as a mark of authentication of the purity and origin of their teas. Tea bag wrapped in a metalized hermetically sealed envelope to retain freshness and flaour. Darjeeling Green Tea. Nestled amidst the snow capped Himalayas. Darjeeling tea is cherished the world over for its exquisite bouquet and unique muscatel flavor is referred to as the "Champagne of Teas". Rich in antioxidants and low in caffeine. English Breakfast. The characteristic of Indian Black tea prevails in this mellow blend giving a typical English brew. To be taken with or without milk or cream. 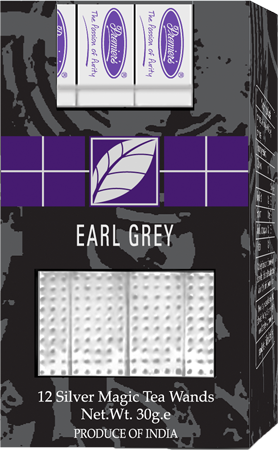 Earl Grey. The best of Indian black leaf teas selected meticulously and finely processed with natural bergamot. Apple. Finely selected high grown Indian Black tea flavored with natural extracts of apple. Apricot. Finely selected high grown Indian Black tea flavored with natural extracts of apricot. 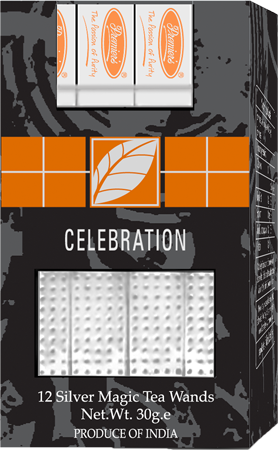 Celebration. Finely selected high grown Indian Black tea flavored with natural extracts of caramel, mango and pineapple. Caramel. Finely selected high grown Indian Black tea flavored with natural extracts of caramel. Cherry. Finely selected high grown Indian Black tea flavored with natural extracts of cherry. Lemon. Finely selected high grown Indian Black tea flavored with natural extracts of lemon. Mango. 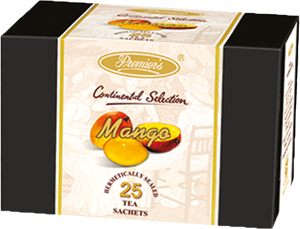 Finely selected high grown Indian Black tea flavored with natural extracts of mango. Strawberry. 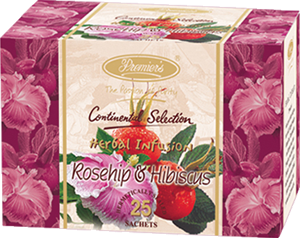 Finely selected high grown Indian Black tea flavored with natural extracts of strawberry. Peach. Finely selected high grown Indian Black tea flavored with natural extracts of peach. Passion Fruits. Finely selected high grown Indian Black tea flavored with natural extracts of passion fruits. Pear. Finely selected high grown Indian Black tea flavored with natural extracts of pear. Organic Assam black tea. Organically cultivated Assam black tea. It is distinguished for its rich, full bodied, bright liquor. Organic Darjeeling Black Tea. Organically cultivated Darjeeling Black Tea. Is referred to as the 'the Champagne of Teas'. Is cherished the world over for its exquisite bouquet and unique muscatel flavor. Nilgiri Black tea. Nilgiri, literally translated means the Blue Mountains. 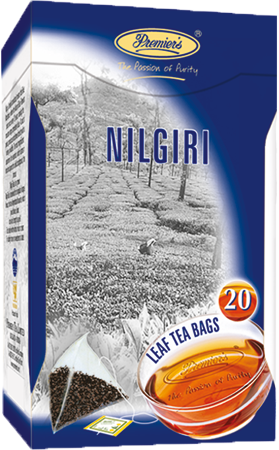 Nilgiri tea is renowned for its singular 'vintage' flavor and appreciated for its particular bright liquor, body and soothing strength. Chamomile. A caffeine free herbal teasan. 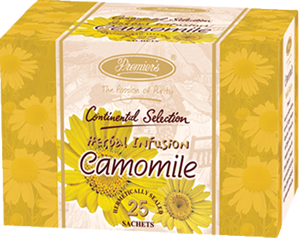 This sweet, calming infusion of fresh chamomile flowers will soothe your day's end. Peppermint & Ginger. 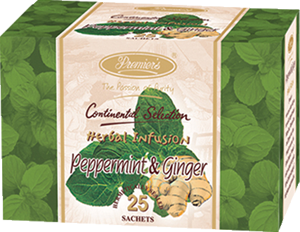 A caffeine free herbal teasan which combines the beneficial properties of peppermint leaves and ginger root. Rosehip & Hibiscus. A Caffeine free herbal teasan made from rosehip and hibiscus. Mint. A caffeine free herbal teasan made from whole mint leaves and flowers. A classic elegant wooden box with a fine walnut finish, available in two sizes. Wooden gift box 6. Wooden box containing 6 different tea flavors of 15 tea bags each. Wooden gift box 12. 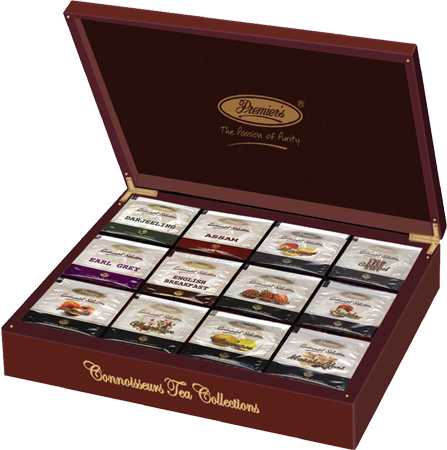 Wooden box containing 12 different tea flavors of 10 tea bags each. Whole leaf tea packed in a silk-food-grade material with fine mesh in pyramid shape tea bag. The fresh tea leaves circulate and completely unfurl inside extracting full aroma & flavour. Assam Black Tea. 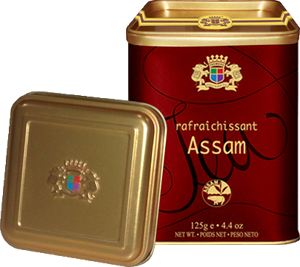 Assam tea is distinguished for its rich, full bodied, bright liquor. Best drunk with milk and sugar. Darjeeling Black Tea. Nestled amidst the snow capped Himalayas. Darjeeling tea is cherished the world over for its exquisite bouquet and unique muscatel flavor is referred to as the "Champagne of Teas". An unique idea of packing leaf tea in a easy to use tea infuser, made out of aluminum foil? a harmless and worldwide accepted packaging agent. Besides, every single tea wand is over-wrapped with Biaxially oriented polypropylene to minimize the loss of aroma & flavour. Jasmine Darjeeling Green Tea. Darjeeling green tea naturally scented with real jasmine flowers. Rich in antioxidants and low in caffeine. Pure tea packed in a metalized pouch, sealed to retain freshness and flavor, placed in a standy pack. Darjeeling Green Tea. estled amidst the snow capped Himalayas. Darjeeling tea is cherished the world over for its exquisite bouquet and unique muscatel flavor is referred to as the "Champagne of Teas". Rich in antioxidants and low in caffeine. Caramel Green Tea. 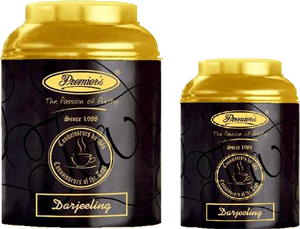 Darjeeling Green Tea flavored with caramel, rich in antioxidants and low in caffeine. Celebration Green Tea. Darjeeling Green Tea flavored with pineapple and mango, rich in antioxidants and low in caffeine. Caramel & Honey Green Tea. Darjeeling Green Tea flavored with honey and caramel, rich in antioxidants and low in caffeine. Pineapple Green Tea. Darjeeling Green Tea flavored with extracts of pineapple flavor, rich in antioxidants and low in caffeine. Lime Green Tea. Darjeeling Green Tea flavored with lime, rich in antioxidants and low in caffeine. Casanova Green Tea. Darjeeling Green Tea flavored with caramel and blueberries, rich in antioxidants and low in caffeine. Birthday Green Tea. Darjeeling Green Tea flavored with caramel and mango, rich in antioxidants and low in caffeine. Darjeeling Black Tea. Nestled amidst the snow capped Himalayas. Darjeeling tea is cherished the world over for its exquisite bouquet and unique muscatel flavor is referred to as the "Champagne of Teas"
Scottish breakfast. The best of Indian black leaf teas, which will awake the palate and mind. Better served with milk & sugar. Irish breakfast. A sweet blend of India's finest black teas, ideal to start the day with. Better served with sugar & milk. Vanilla. Finely selected high grown Indian Black tea flavored with natural extracts of apple. A rare collection of square metal caddies. 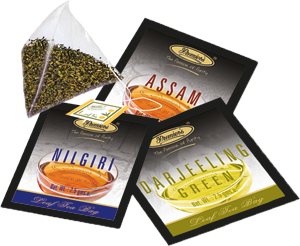 Whole leaf teas are packed in a golden metalized pouch-heat sealed and secured to avoid any adulteration. 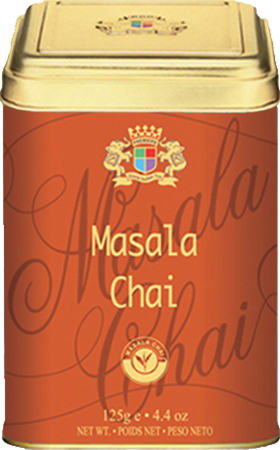 Masala Chai. "Masala" is the word of mixture of various spices used among households in India ( cardamon, cinnamon, ginger and cloves). Indian "Masala Chai" produces a warming, soothing effect and gives one a wonderful sense of well-being. 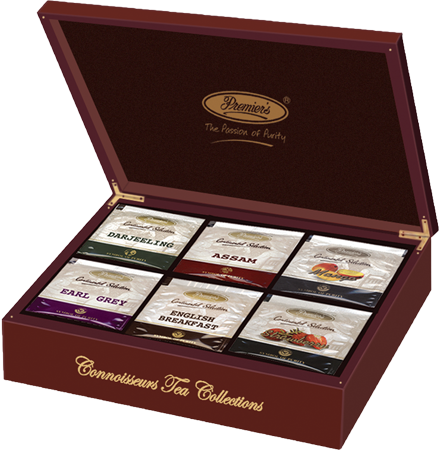 Exclusively designed caddies for "cafes and tea boutiques", containing pure and flavored teas. Refills available on a regular basis. Jasmine Green Tea. Darjeeling Green tea naturally scented with real jasmine flowers. Rich in antioxidants and low in caffeine. Jasmine Black Tea. Darjeeling Black tea naturally scented with real jasmine flowers.